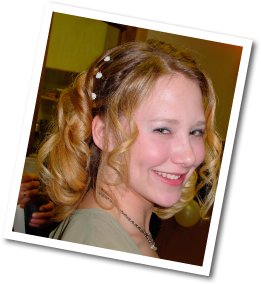 The Tiffany Johnson Memorial Fund has been established as a tribute to Tiffany A. Johnson, who lost her life as the result of a tragic shooting on December 9, 2007, in Arvada, Colorado. A native of Chisholm, Minnesota, Tiffany “Tiff” was taken from this earth while graciously serving for “Youth with a Mission (YWAM).” Tiffany’s life was dedicated to caring for and helping her fellow man. She began her work with YWAM in 2006 as a student and acquired additional training to become a staff person with the organization. During her time with YWAM, Tiffany was carrying out what she believed to be the two most important duties in her life: serving God and sharing her faith with others. Tiffany was known to many as a strong, beautiful young woman whose passion in life was working with people and sharing the goodness of life while continuing to spread the Word of God. The Tiffany Johnson memorial fund will grant scholarship(s) for youth that are training to become missionaries as well as future missionary work. Tiffany leaves behind a loving family and the many lives she changed. Tiffany’s mission has been accomplished.